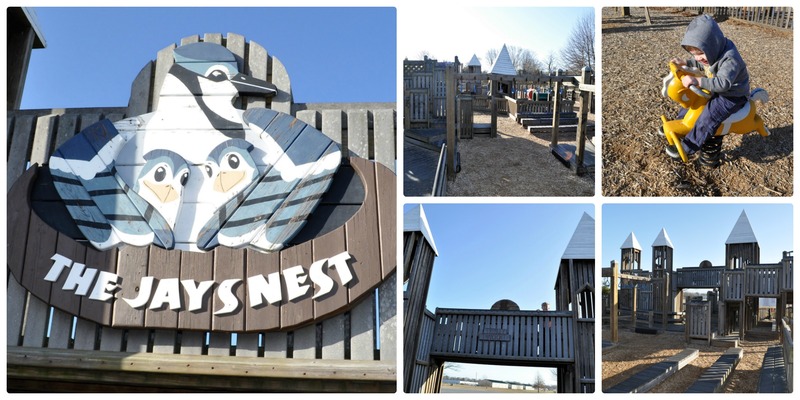 We had some time to kill while Daddy did a work errand in Seaford, so I did a little google search and came up with the Jays Nest playground. We had the whole place to ourselves and the boys had a blast running around. Jays Nest reminded me a lot of Brecknock Park, lots of character, lots of fun. There are picnic tables, trash cans and a porta potty on site. The best part by far is the fence surrounding the play area with only one way in and one way out. Containment allows for peace of mind for parents of multiple little ones, or even with one very active little one that may be a wanderer. Definitely in my top 10 favorite playgrounds in Delaware so far.